About: Steps from the boardwalk, VENICE UNDERGROUND COMEDY is one of the best stand-up shows in SoCal. It was acknowledged in LA Weekly’s Best of LA 2012 and The Argonaut’s Best of Westside 2013, 2015 & 2017. Los Angeles may put the “L.A.” in plastic, but VenUground honors the uniquely eclectic, subversive, rock-n-roll reality of Venice Beach with edgy, honest and often dangerous comedians. Venice is unpredictable above sea-level — below the surface, even more so. The show has already hosted the amazingly diverse talents of Bill Burr, Tom Rhodes, Bret Ernst, Bryan Callen, Greg Fitzsimmons, Eddie Ifft, Ian Edwards, Jim Jefferies, Theo Von, Big Jay Oakerson, Eleanor Kerrigan, Rick Shapiro, G Reilly, Sam Tripoli, Amy Dresner, Eddie Pepitone, Lisa Landry, Dan Ahdoot, J Chris Newberg, Jerrod Carmichael and many many many many more. Venice comics Bronston Jones & Matt Devlin hand-pick the talent each week using one criteria — “Who do we want to see?” The Venice crowd seems to agree as the show hits Standing Room Only capacity every week. 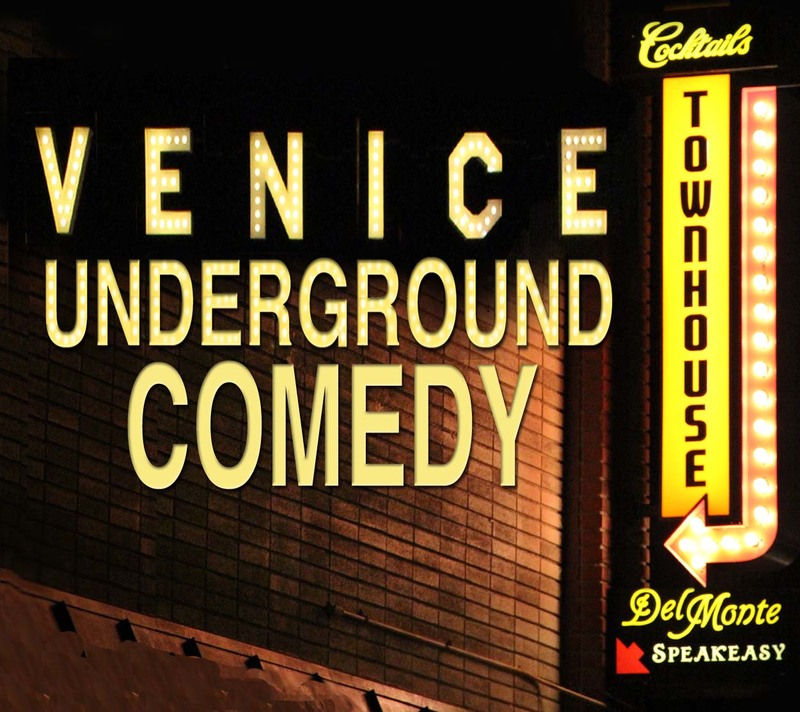 Nothing could be more appropriate than bringing underground comedy to Venice’s only subterranean performance space. The beautiful art deco Del Monte Speakeasy in iconic Townhouse is an actual Prohibition era speakeasy. Following our comics are the lovely ladies of the Bootleg Bombshells Burlesque troupes. Wednesdays shows are FREE!!! Arrive early, because once the room hits capacity, it’s full. Doors at 9pm. Show starts at 9:30 prompt. Drive, pedal, skate, walk or stumble down!